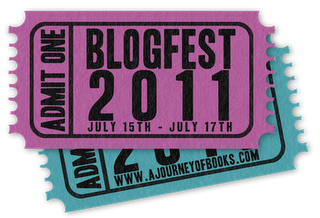 A Life Bound By Books: Blogfest 2011 Giveaway! Awesome giveaway...have fun at blog fest! Check out what we are giving away HERE!!! Hi, new follower here. Found you through the hop. Thanks for the giveaway! Thanks for the great giveaway! I skipped your review of Forgotten b/c I have to write my review and its hard! So I didn't want to copy anything in yours. I'll read it when I'm finished writing mine! Thanks for participating. I'm a GFC follower under Lucky47. Thanks for the great offer! Happy Blog Fest!